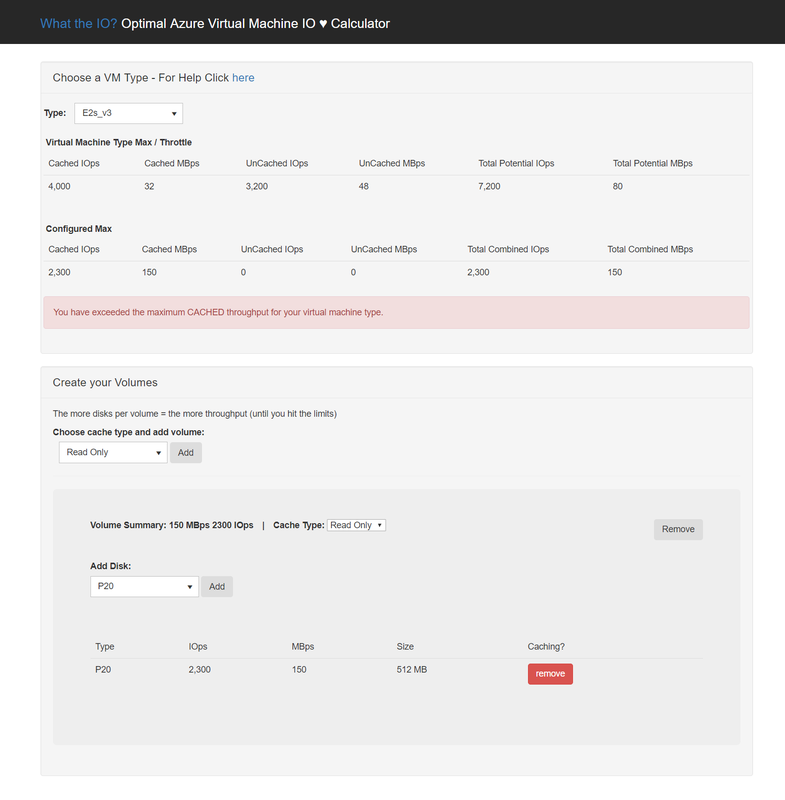 I keep having to refer to the virtual machine size page and the disks pricing page to work out how best to stripe disks for whichever type of virtual maching in Azure to work out what sort of throughput we can get so I thought I would save myself some ink and automate it, hopefully someone else finds this useful. You choose how many volume you want, whether you want caching or not and then how many disks choosing the amount and type of disks and then the calculator will tell you what your max throughput is and also when you have exceeded the maximum throughput of the virtual machine. You can switch between vm types, in this example we can see that a single P20 exceeds the total throttle limit of the E2s_v3 so striping the disk or using a faster disk is pointless (unless we are using it just to get more space rather than performance). Let me know if you get any issues, I’ve only tested on chrome and will probably add to it in the future, maybe adding in non-premium disks but for the moment it is just premium disks and vm’s that support premium disks.